The Medical Enzyme Surgical Instrument Detergent ONEcleaner cuts cleaning costs, boosts cleaning power, and cleans residue free. 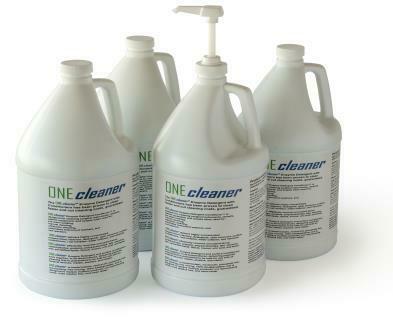 The ONEcleaner 4 enzyme surgical instrument cleaner detergents clean residue free, eliminate multiple products, and cut cleaning costs. The highly concentrated ONEcleaner Surgical Instrument Enzyme Cleaners with Detergents breakdown bioburden and remove soil from surgical instruments. For the surgical instrument cleaning process to be thorough, four enzymes are necessary to breakdown bioburden on soiled surgical instruments and detergents are necessary to remove the soil from the surface. The ONEcleaner Medical Enzyme Cleaners with detergents clean medical instruments cost effectively and clean rapidly. The ONEcleaner Medical Enzyme Detergent Surgical Instrument Cleaners replace multiple products and lubricate medical instruments while they clean. 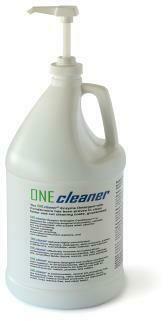 The ONEcleaner Medical Enzyme Cleaners lubricate while they clean faster and cut costs. Contact yourCEBA for the ONEcleaner medical enzymatic surgical instrument cleaners, highly concentrated cleaning detergents, surgical instrument lubricants, and medical enzyme detergents that lower cleaning reprocessing costs, for cleaning of instruments prior to sterilization.